Apartment 501 was a mixed media installation at Fort Mason Center for the Arts. It was created as part of the graduating exhibition of the San Francisco Art Institute. The installation was exhibited during November of 2018. Apartment 501 brings the personal to the public. 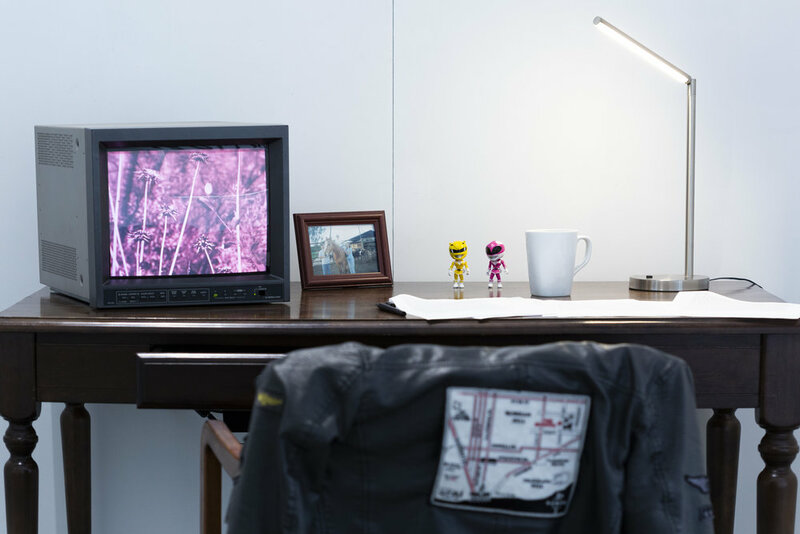 Containing a film and two framed photographs, the mixed media installation recreates my home study area while integrating the different artworks with personal objects as a direct representation of myself. Concerned with the display of a film within a fine art exhibition, the installation creates a context for the piece. Representing a space I dwell in, the installation is an immersive environment that captivates and compels the viewer, making the act of watching the film a part of the experience. Processing the feelings of confusion, agony and outrage generated by the Brazilian elections in 2018, the 16mm and digital hybrid film, Pátria Vermelha is a way to deal with the wave of violence and hate being propagated by the front running candidate. While away from home, the discomfort was too great not to be addressed. Drawing a parallel between 1964 and the present, the historical context is imperative so that the viewer can understand the dangerous cycle the Brazilian population has entered, as fascism grows rapidly. While I can’t offer solutions to reverse that cycle, I state my reasons to fight and hope that the viewer will join me. Printed accounts, in Portuguese and in English, of women who were tortured during the dictatorship period, as they fought against the oppression, accompany my film. Often a neglected perspective, their presence compliments my film as I can only imagine how life was back then by having been born decades later. As the film explores my own perspectives within life, the photographs explore the my relationships with those who have supported me along this path. Not only paying a homage to my parents, the compositions of the photographs are a translation of their own interests that have been passed on to me. Cassia, titled after my mother, captures my love for nature and landscape photography in relation with my her passion for flowers. Edson, titled after my father, connects with his passion for rural life. The cattle, which he raises as a hobby, has become a part of my practice through the lenses of a camera. The photos, placed on opposite walls, represent the conflicts present in my childhood as I felt like I had to pick a side. The monitor, located closer to Cassia, is an indication of the side I picked.